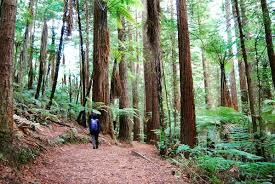 Taupo offers outdoor enthusiasts some of the best walks and hikes in the world, covering a range of environments and terrains, with breathtaking views and scenery. There are walks for young and old across all fitness levels, from 20 minute short walks to multi hour tramps in nature’s paradise. Signposted track begins from the Spa Thermal Park carpark on County Ave (off Spa Road). A pleasant walk for the whole family. Return via the same track or arrange transport from Huka Falls carpark. 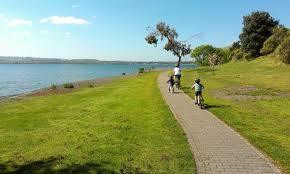 The carpark is only 10 minutes from your accommodation at the Great Lake Taupo Holiday Park. Track begins over the bridge at Huka Falls. Try to time your arrival at the rapids when the dam is due to open. Return via this route or arrange transport from Aratiatia. Track begins anywhere on Lake Terrace and heads around the lake towards Turangi. Finish at Wharewaka Point, or continue as far as Five Mile Bay. Great for families. The track begins off Acacia Bay Road, and leads around the lakeshore to Totara Bay. The main track continues on to Rangatira Point and loops back to meet the road. Excellent lake views. Vehicle access to both ends of this track. should be taken as it is a shared mountain bike track. 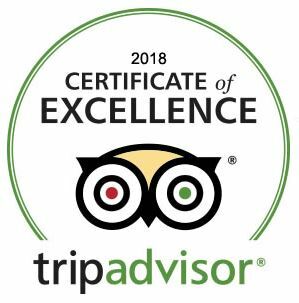 For more information on these and other great walks, purchase the Guide to Walks & Hikes around the Great Lake Taupo District from our reception at Great Lake Taupo Holiday Park. The guide also includes bike trails. Time: Varies depending on distance and route taken.The path can be joined at various places along Acacia Bay Road, and varies from a lake edge track through grass or native trees, to a cobbled walkway along the side of the road. At Acacia Bay North, the path leaves the beach near the toilets, and follows the road around Waikereru Point between the two bays. The path then leaves the road before re-emerging on the lake edge reserve at Acacia Bay South near the Whangaroa Reserve boat ramp. Follow Acacia Bay Road past the boat ramp and on for another 2 km. The track starts at the first carpark on the left. The track leads around the lakeshore to Totara Bay. There is a large group of pines at Te Karaka Point at the far end of the bay. A side track from this point leads back to Acacia Bay Road. The main track continues to Rangatira Point then loops back to meet the road. Excellent lake views. Vehicle access to both ends of this track. Follow Acacia Bay Road to the roadend carpark. Begin on the Rangatira Point Track. Turn right at the first junction. An easy graded track runs through the bush beside the lake around to Whakamoenga Point. There are good views across the lake from many points along the walkway. Please respect adjacent private property by staying on the track. Note: The Rangatira and Whakamoenga Point Tracks can be walked together (2.5 hours return). Connects Mapara Road to the end of Brunette Drive. A boardwalked track through native planting restoration areas. 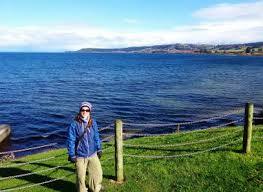 Magnificent views of Lake Taupo. Enjoy a walk around some historically significant sites and more recently added attractions within the CBD. Start at the Taupo Visitor Centre and look out for commemorative plaques at some locations. The visitor centre is only three kilometres from the Great Lake Taupo Holiday Park. 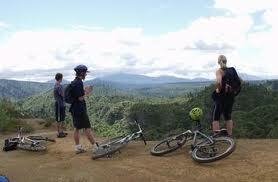 Also see: Great Lake Taupo website for more info on other trails in the Taupo region. the best mountain biking trails in New Zealand. 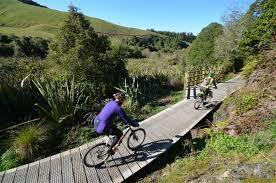 There are more than 200kms of biking trails in the Taupo region, with the free draining soil conditions making it a year-round destination to enjoy. Pick up your free 10 Great Rides Brochure, view PDF from our reception at time of check in. For road cycling enthusiasts Taupo offers a number of options, with many of them directly passing the Great Lake Taupo Holiday Park on Acacia Bay road. A great Urban Ride for families is the shared lakefront path known as The Lions Walk. The path runs south from town and continues right around to 5 Mile Bay. Access the path from any point in town just by heading to the lakefront. 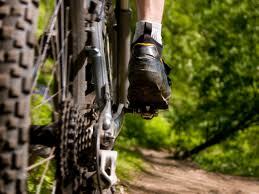 Taupo is also home to New Zealand’s largest and premier cycling event, the Contact Lake Taupo Cycle Challenge. Up to 10 000 riders from New Zealand and over 20 countries around the globe take part each year. 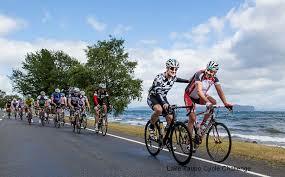 The event is held on the last Saturday of November every year and features a 160km circuit around Lake Taupo, which is one of 15 categories on offer, with both road cycling and mountain bike options for individuals and teams, catering to all levels of cycling and fitness abilities. This great event attracts a diverse range of participants, from elite riders to weekend riders wanting a challenge to complete. Use our accommodation as your base for this wonderful event. Plan your getaway weekend now to Taupo! 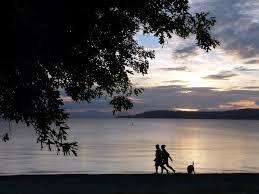 Come and enjoy nature’s ultimate playground, Great Lake Taupo! Stay with us at the Great Lake Taupo Holiday Park!